The role of automotive advertising agencies is changing along with the auto industry that they serve. It is important for automotive advertising agencies to educate themselves and their auto dealer clients about their changing roles in a consolidating auto industry that is shifting onto the Internet Super Highway vs. local car rows. Problems and solution shared at real world venues in the auto industry are having an impact and the slow shift to the new pull/push world of the consumer driven Internet is becoming more obvious. Similarly, a growing number of online social networking communities are also all helping to spread the word and their timing couldn’t be better. The only constant in the auto industry is change. Of course human nature is also a universal constant, but since that is the fuel that powers most change in the auto industry it must be factored in and considered by automotive advertising agencies who can now look to consumers for the answers. Radio, T.V. and newspapers are no longer the media of choice for today’s Internet savvy consumers. B2C messages online are filtered out in favor of C2C conversations in social networking communities that now dot the landscape on the World Wide Web. Automotive advertising agencies must reinvent themselves as the resource that auto dealers rely on to navigate them onto the Internet Super Highway because that is where their customers are. The Internet has empowered consumers to bypass auto dealers and even their most strategically placed marketing message in favor of online information resources that are not dependent on automotive advertising agencies or auto dealers for their content. Initially, third party aggregators captured online auto shoppers attempting to avoid real and virtual world auto dealerships by collecting inventory from hundreds of auto dealers anxious to get their inventory in front of today buyers for new and pre-owned vehicles. 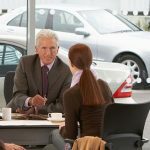 Consumers quickly realized the limitations of looking at vehicles in this kind of dealer-centric platform and the technology driven evolution of online marketing platforms soon provided more consumer-centric solutions. Auto dealers are now able to monetize social media with features that invite car shoppers to share their vehicle selections with their online friends and family to assist them in their car shopping experience. These C2C conversations pushed to Face Book and other social networking communities replace previous unsuccessful attempts by automotive advertising agencies to post B2C messages on the same social media platforms. Automotive advertising agencies need to know about sites that offer a variety of free services and a way to earn a seat at the social media table More relevantly, they need to tell their auto dealer clients about them to justify their agency fees! Other technology driven applications automotive advertising agencies need to tell their auto dealer clients about that will allow them to sell more vehicles and service for less money and with less staff include dealer hosted personal web sites for their staff, dashboard tools that integrates telephone and SMS text messaging for more comprehensive and cost effective follow up, automated video production platforms that converts the pictures on an auto dealer’s website pushed onto the search engines with Facebook applications that allow an auto dealer to display their entire inventory on a non-offensive tab within the customers Face Book page, customer interaction platforms that allow online shoppers to initiate a two way video conversation from within an auto dealer’s website that can accommodate a turnkey online transaction without having to drop the glass wall that empowers online shoppers to move forward in the negotiation process and appraisal tools which provide site visitors with NADA sourced values for their trade-in while selecting suitable vehicles from the auto dealers online inventory to find a car to replace the one that they are selling. Any one of these new online conversion and marketing tools can develop a superior R.O.I. to even the best written and placed conventional automotive advertising messages and/or online digital marketing campaigns. These technology driven solutions and their importance to automotive advertising agencies are needed to justify their agency fees to their auto dealer clients in today’s consolidating auto industry. Many automotive advertising agencies still operate under the assumption that if they bring enough bodies to the front door then they have earned their fees. In today’s consolidating auto industry; not so much! Reduced sales volume and profit margins coupled with increased expenses demand that automotive advertising agencies must increase their areas of responsibility to include internal selling processes using systems to increase efficiencies across all departments in an auto dealership in both their brick and mortar facilities and their newly developing virtual showrooms. You have to be in it to win it and for the foreseeable future the game is being played on the World Wide Web. The most active lanes on the Internet Super Highway are those that lead to social networking communities that share information between automotive advertising agencies and auto dealers as much as they do for their customers.